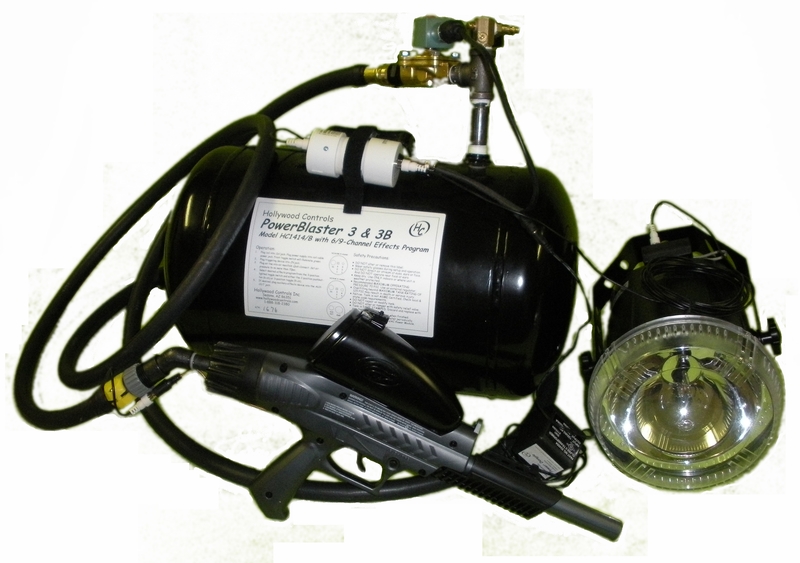 Hand-held Machine Gun Kit with 7 gal Tank This kit includes our 30 pattern 6th Generation PowerBlaster along with our HC0109 integrated trigger gun and industrial hose, HC 1200EB PowerStrobe and HC1407 Tank. Just attach the hose to the valve, plug in the trigger cable and select one of 15 fully automatic or semi-automatic firing patterns. 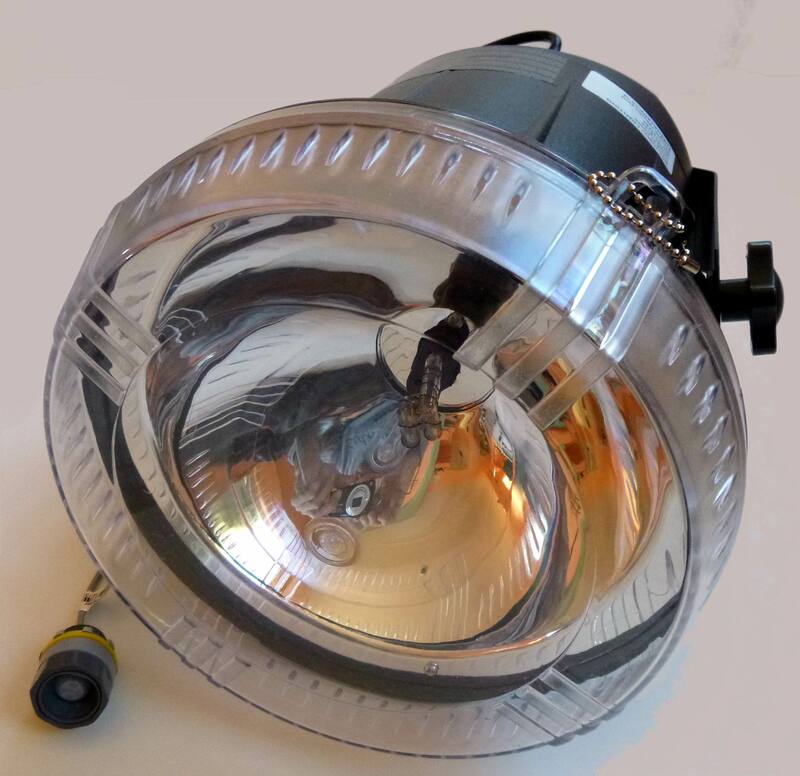 HC1200EMK Motion-Activated Power Strobe Kit Our HC1200EMK Motion Activated PowerStrobe Kit is a specially adapted 50W output AC powered strobe light triggered from our included HC1011-1 PIR Motion Sensor. 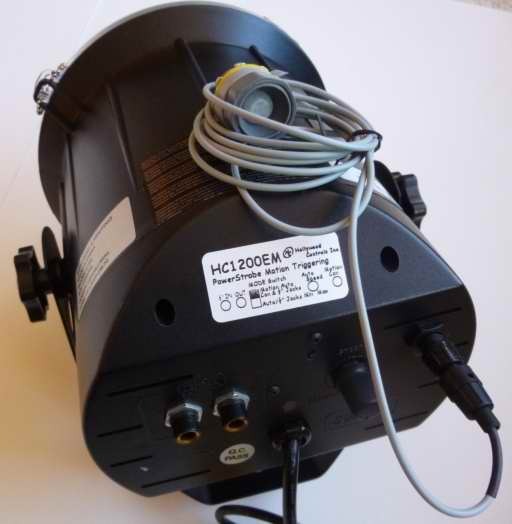 The HC1200EM Strobe has an integral trigger/power connector on the back. Plug in the Sensor, set the mode switch to motion, and the strobe triggers only when there are people in range of the sensor. No longer are your strobes flashing all night long! Use one of our Motion Strobes with a string of standard link-able strobes to create a startling extended lighting effect. 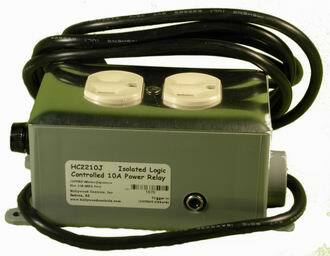 HC2210 Logic Power Relay Do you have a motor, lamp or a large display that you want to control? This Logic PowerRelay handles up to 10A at 120V. It is activated remotely by a fully isolated contact closure circuit! Our Dual Event Timers and Manual Pushbuttons are an ideal control source! The Logic PowerRelay is packaged in a sturdy PVC housing and includes mounting tabs. Trigger control input is via an RCA jack. Includes a 10A replaceable fuse.